Crew Cab. Vortec 4.8L V8 SFI, 4-Speed Automatic with Overdrive, and Ebony w/Premium Cloth Seat Trim. What a great deal! Wow! What a sweetheart! 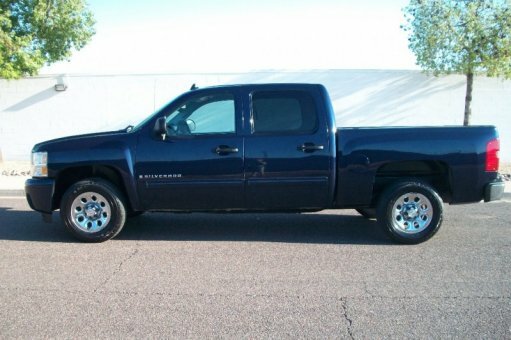 The Silverado 1500 is a classic a work-truck. New Car Test Drive said it was "...designed to continue its reputation among owners as the strongest, most dependable and longest lasting truck on the road..." Auto Week reports the latest versions of this popular truck are as polished and thought-out as they come. Accommodating cabin with generous legroom and supportive seats.